Hello friends! I hope you are having a beautiful afternoon. 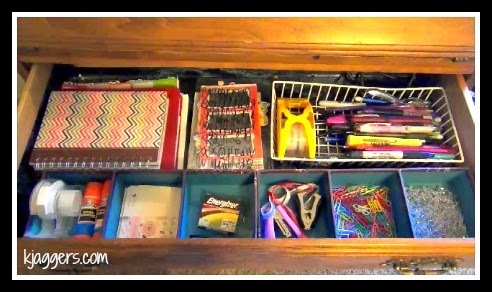 I am back today with a home office video showing how I organize the 1st floor desk. This desk is the main desk I use on a daily basis. I have it organized very simply with just the items I want or need. If you want to see what works for me, and maybe get some simple organization ideas, enjoy the video. There are more pictures and information below! So its a rather simple setup. I love having it close at hand in our living room right by the sliding glass door so I can get fresh air easily. For me, I work best with lots of fresh air and sunshine. This is a old desk given to me by grandparents who are both gone now so I do want to keep it around. I have thought a lot about redoing it but I just haven't got to that project yet. However, its still in pretty good shape. At the top of the desk hanging on the wall is our white board. This comes in so handy for pictures I want out, paper reminders of sorts, notes about summer and notes about Jackson. At the bottom of the white board I have the blog and youtube schedule I am currently on just as a reminder of what I need to do everyday. There are days when I am a complete scatterbrain and need some visual aides to keep me on track! On the top of the desk from left to right is two magazine holders. One has papers that I am currently reviewing or using and the other has more personal items such as thank you notes and little things that I am currently going through or using. Then I have a mail sorter in the same design that holds envelopes,address labels and such that make it so easy to send something out. There is no looking for supplies and such. Everything is right there. In that same mail sorter, I have our current bills. I don't save a lot of our bills. We are not planning on making any large purchases anytime soon so I save the paper copy until the bill is paid and then it goes through the shredder. I don't keep a lot of unnecessary paperwork through our home. I pick and choose which items of the kids I keep and have a special large tubberware bin in the office upstairs along with a small filing cabinet that holds our insurance policy's and household papers. But again.. I don't keep a lot of unnecessary papers. I just don't want a lot of paper clutter. In the very back or the mail sorter I have other mail that I still need to do something but is not a bill. The desk folds down. I love it because it can hide a lot of stuff. At one point I had this stacked full of makeup because it does close and hide everything. It can totally be a clutter spot because it does hide the mess rather easy. For me, I prefer just having the most important things I use in this part and nothing else. On the left I have my coupon organizer, my password book and just my little Erin Condren calendar that came with my life planner. In the middle I have a organizer that holds my paper clips, rubber bands, and tapes and labels that I use in my planner. I also have some tape and post it notes. 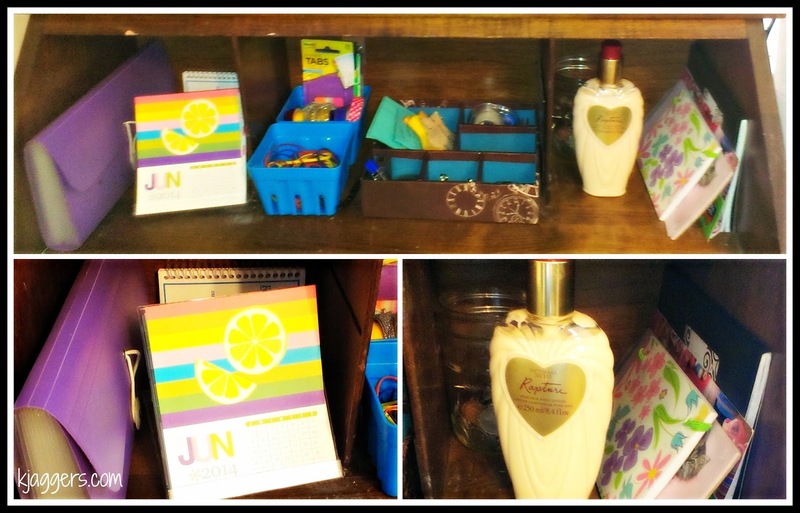 In the right cubbie I have some little books that I use daily, a change jar and some lotion that I adore. And that's it. I use the big desk area to put my laptop and use the side for paperwork. There is plenty of space and everything I need is right there. When I am closed I remove my laptop, close it and its back to not just a desk but a private desk...which I love. Then there are 3 drawers on the bottom of the desk. In the first drawer I have 2 organizers that has 3 slots. I use these for even more offices supplies and in the back there is a basket that has more pens that I use from time to time. Beside that are stickers and labels that I use a lot in my planner and on projects around the house. The last little area in this top drawer are my planners from last year. From past experience I know its always a good idea for me to have last years planner around because I am ALWAYS referencing it. 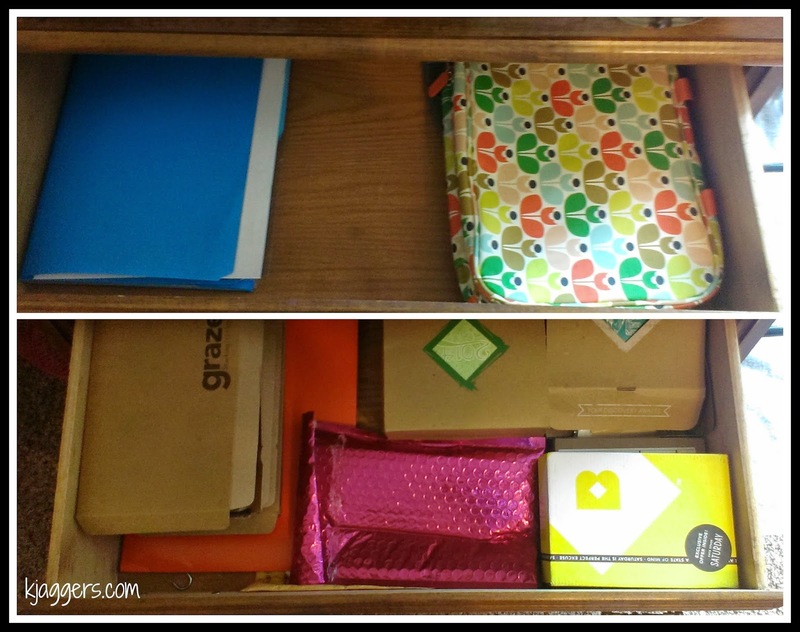 The middle drawer holds a blue file of blank paper that we are always grabbing for and then on the right I have a labtop stand and my planner organizer that I use often. Under that I have a expandable file that holds more important papers that I either need in the near future and in other sections I have papers that do need to be filed. 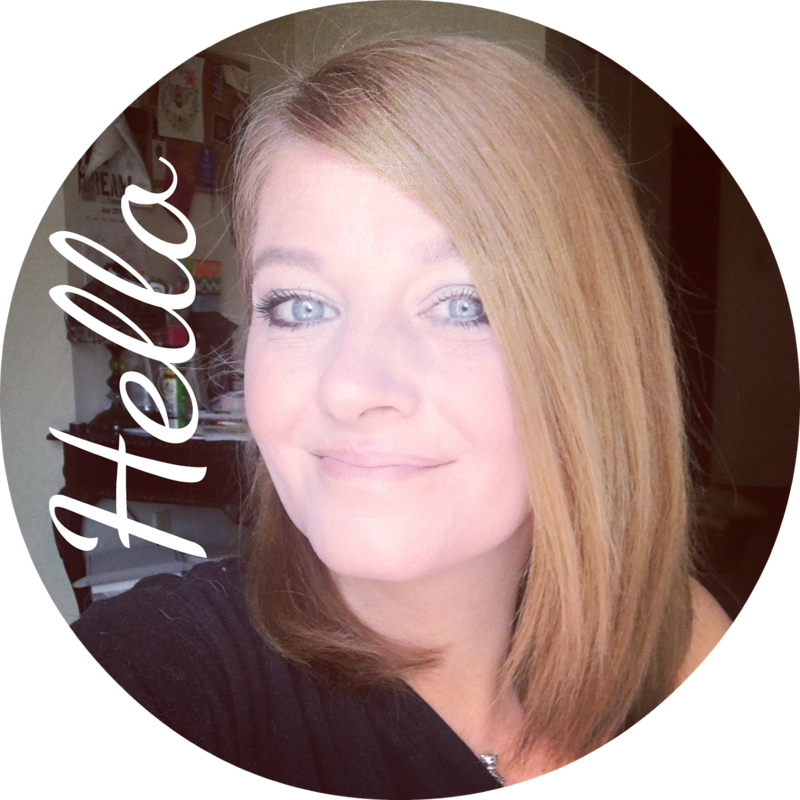 In the bottom drawer I have my subscription boxes that I need to film or with mail items regarding my blog for reviews and if a reader sends me mail, I keep their envelopes so I can send them something back. They all live in the bottom drawer. Samples, Magazines, and mail that I want to share in a video goes in another tupperware container that is hidden in a corner in my dining room. I know this is rather simple but it works really for us. I don't think organizing anything that you can't or won't keep up with is pointless. It has to work for you. Everything in or on this desk are items I really wanted that I use often. I do have to take the white board down and clean it from time to time but everything works together to keep me more organized. 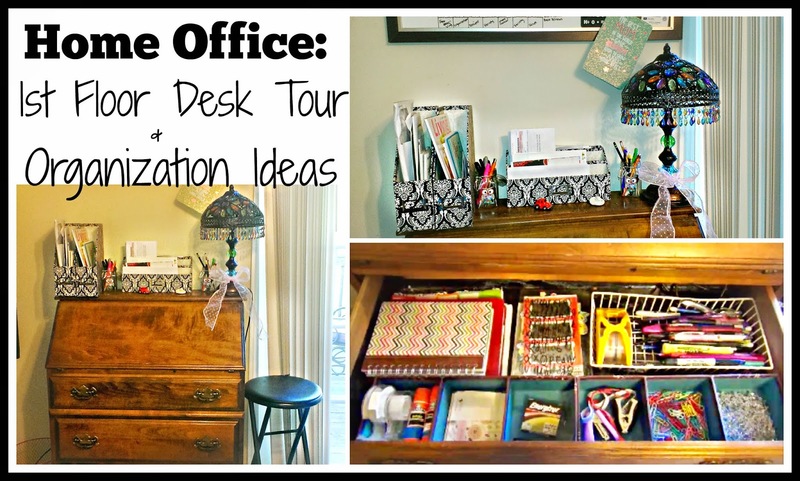 I hope this gives you some tips and helps inspire you to give your desk a cleaning up and organize it for your own daily needs. 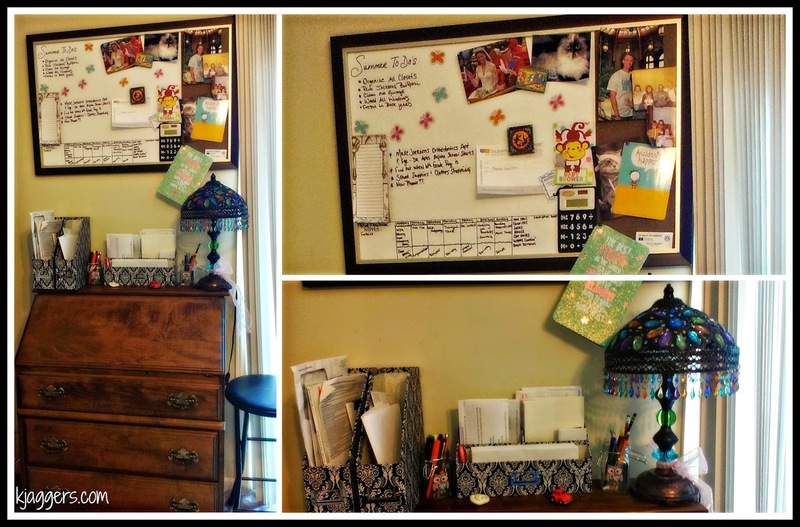 I would love to hear how you keep your home office desk area organized, if you'd like to share!